CUAH is housed at JUFJ, a 501(c)(3) organization. JUFJ leads thousands in the Jewish community and broader greater Washington and Baltimore public to act on shared values and pursue justice in our local communities. JUFJ envisions an equitable, just, and safe greater Washington area, where the rights and dignity of all residents are respected and the voices of the most marginalized residents are heard. We believe that the only way to build such a community is for Jews to join with our neighbors and organize for local change. Does your organization want to join the CUAH Network? Please fill out this form. After we review your request, we will send you a "Welcome to CUAH" email with instructions on how to get your organization listed on this page of our website. AVA is the oldest Vietnamese American community based organization in Maryland. AVA has helped refugees and immigrants of all backgrounds secure housing, find jobs, study for US citizenship tests, and hosted US Naturalization Ceremonies. CAIF is a youth-led interfaith service group whose mission is promoting friendship, unity, and tolerance between different faiths throughout our community. CASA's mission is to create a more just society by building power and improving the quality of life in low-income immigrant communities. Our vision is a future with diverse and thriving communities living free from discrimination and fear, working together with mutual respect to achieve full human rights for all. CLUUC members include liberal Christians, Jews, Buddhists, atheists, and others who together explore the eternal as we support the worth and dignity of all people, and our responsibility to act for justice and to protect the Earth. At Chevy Chase United Methodist Church we seek to share God's message of grace with all people. And we believe that Jesus Christ calls us to love one another without exception or exclusion. Our mission is to be a community of faith grounded in the way of life revealed in Jesus Christ. And to be an inclusive and welcoming community, who offers hospitality and acceptance to all. We are egalitarian, inclusive, innovative, and participatory. Our clergy inspire and empower us to marry modernity and Jewish tradition as we create diverse paths to spiritual fulfillment, social action, and securing peace and security for our brothers and sisters in Israel. 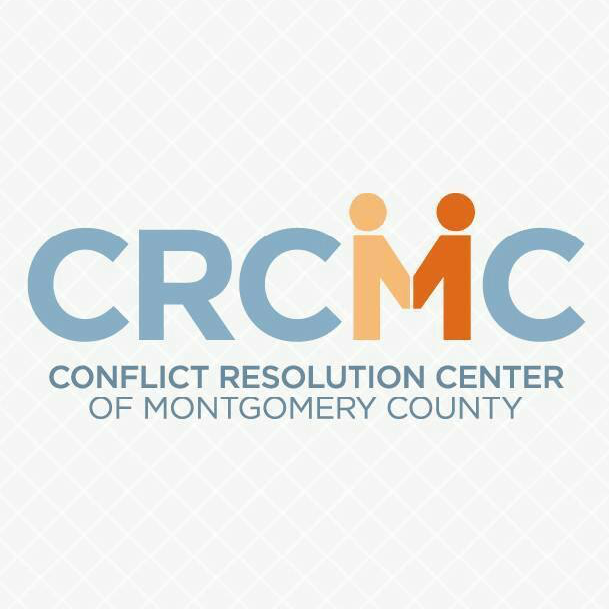 CRCMC is a nonprofit dedicated to providing quality dispute prevention, resolution, and education to individuals and community organizations. Services are free to anyone who lives, works, volunteers, or attends school in Montgomery County. DTMG MoCo brings together people committed to protecting, defending, and furthering inclusive, progressive values throughout our community and our nation by establishing connections between our members and advocacy and political organizations. GGSF is a Sikh Spiritual Center, an institution with a vision to create worldwide awareness regarding Sikhs and Sikhism. GGSF also focuses on service oriented projects on behalf of Sikhs to implement the Sikh concept of Sewa (voluntary service). Identity assists students and disconnected youth living in high poverty areas of Montgomery County. We work with them in schools and the community to help improve social and emotional learning, achieve academic success and prepare for work. IMPACT envisions Montgomery County as a thriving, multicultural community where people of all backgrounds are engaged, connected, and exercising individual and collective power to bring about the changes needed for a full and quality life. Indian American Democratic Club of Maryland is a political advocacy group with a goal to increase the participation of registered Indian American democrats in the political process. JCRCGW endeavors to foster a society based on freedom, justice and democratic pluralism for it is such a society which affords Jews, and all people, the conditions most conducive to individual security, equal opportunity and creative group survival. We are an egalitarian community of Jews committed to the continuity of the Jewish people and Jewish traditional observance as a guide to full participation in American society and the modern world. We strive for spiritual growth through prayer, Torah study, and the observance of Mitzvot. Moms Demand Action is a non-partisan grassroots movement of American mothers demanding common-sense solutions to address our country’s dangerous culture of gun violence, which jeopardizes the safety of our children and families. MCNOW is committed to securing an amendment to the Constitution that will guarantee equal rights for women, championing reproductive freedom, opposing racism, fighting bigotry against LGBTQIA, and ending violence against women. MCCPTA's mission is to make every child's potential a reality by engaging and empowering families and communities to advocate for all children. 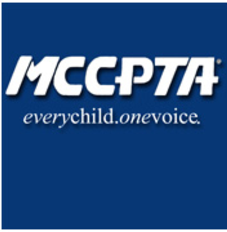 For more than 74 years, the Montgomery County Council of PTAs (MCCPTA) has devoted its energy to passionately advocating for the education and welfare of the children, families, and schools in Montgomery County. MCEA believes public education is the foundation of a strong and thriving community, and is accomplished through: ensuring equity for all children, honoring the professionalism of educators, providing full funding of our public schools, and engaging community partners and stakeholders. Our mission is to lead, empower & advocate for women of African descent, their families & communities. We aim to be a presence in the Montgomery County & to harness the collective power of women, to realize their full potential. One America Movement's goal is to heal divisions in American society. We bring people together across religious, racial, political, and cultural lines to serve together in their communities, have a meal together, and have a conversation together. The Rainbow Youth Alliance (RYA) serves the community of gay, lesbian, bisexual, transgender, intersex, queer, and questioning teens and their allies—known to us as rainbow teens. RYA envisions a future in which rainbow teens have access to safe, nurturing environments where they are respected, listened to, and given information and skills. To grow and deepen in fellowship, spirit and service for all ages. Our congregation, affiliated with the United Synagogue of Conservative Judaism, serves the Jewish community of Upper Montgomery County. SK2K is a youth organization that creates an inclusive environment for kids to connect with other kids and come up with innovative solutions to problems facing our world. We envision a society in which all kids feel safe and secure in their identity. Sixth & I celebrates intersections — the unexpected places where Jewish and secular culture meet. Since 2004, the historic synagogue in downtown Washington, DC has housed impactful, entertaining, and thought-provoking programs open to the entire community. St. John’s is a vibrant, growing Episcopal church in the heart of Bethesda-Chevy Chase, Maryland, just north of Washington, DC and minutes from the Bethesda Metro stop. A Wider Circle is tired of seeing so many children born into poverty, only to remain there for life. We know we can change this, and it is our mission to help one individual and one family after another to rise out of poverty. WDCMC was established in 1957 to help elect Democrats, and advocate for progressive Democratic policies at the local and state level. We host educational programs on political activism and public policy for our 550 members. Additional CUAH Network member organizations are being added to this list on a regular basis. Please check back often.